Drawn by Tutalar RC from 'Runryder'. 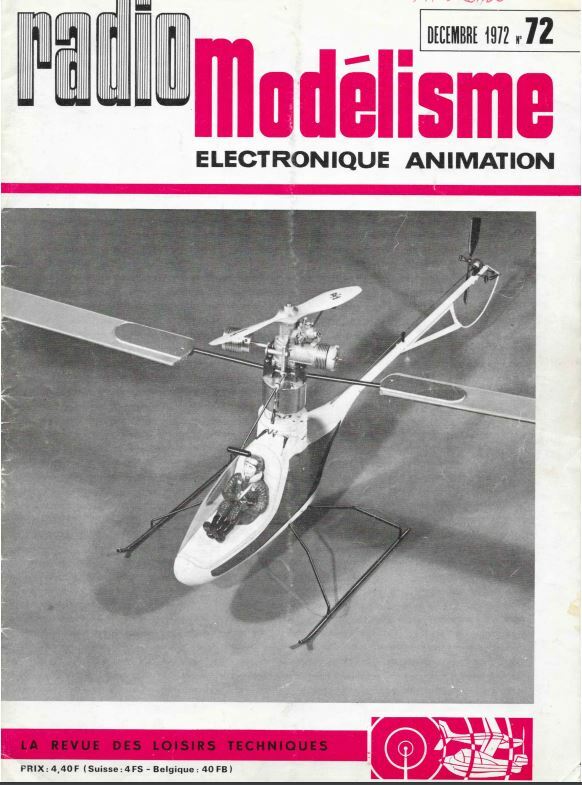 At the SLOB contest in the Cincinnati, Ohio, USA held on the 19th of September 1970, David Gray successfully demonstrates his 40 powered 'contra-rotating' helicopter; though it took many months before this achievement was presented to the public as noted with the copy date for the magazine cover. 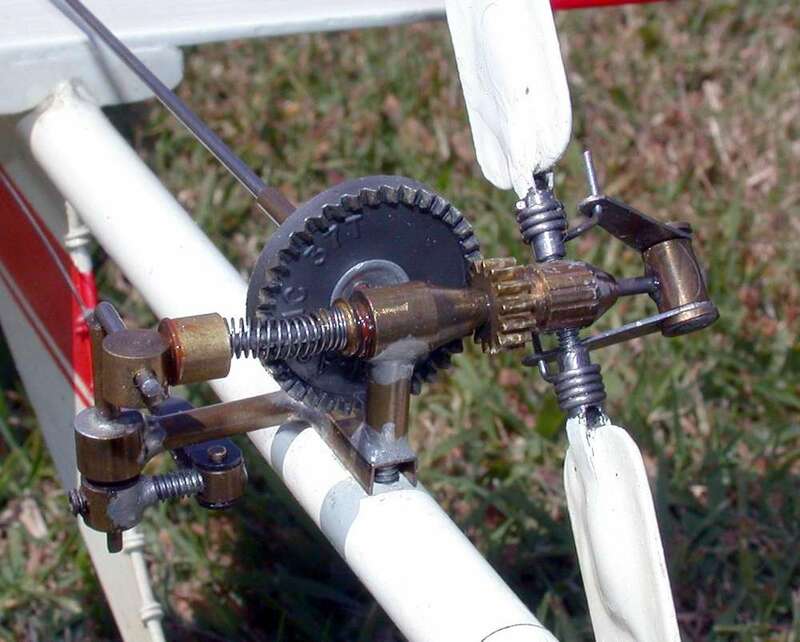 From this coverage Dewey Broberg of Dub-Ro bought the manufacturing rights from David who then began work for Dub-Ro in developing his prototype into a commercial viable product. 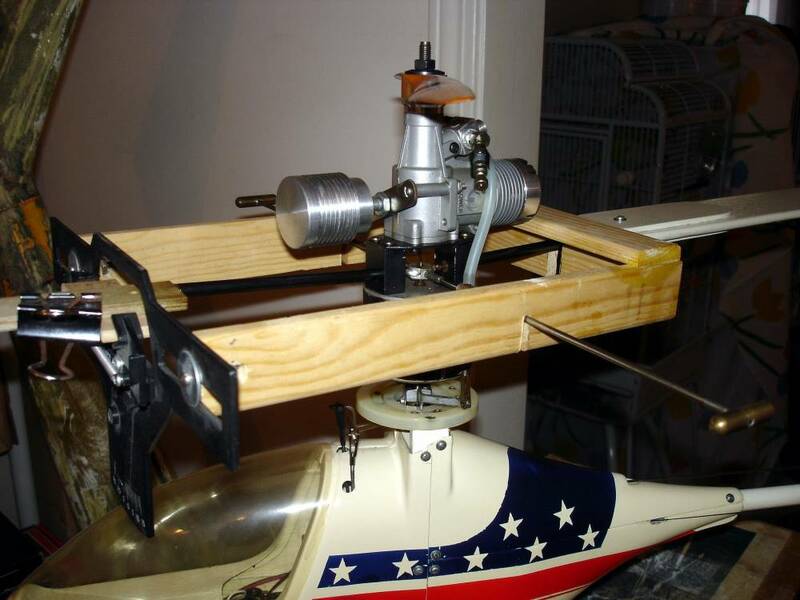 As a historic note; in the late 60's Dave used to display his free flight helicopter which was basically a fuel tank attached to the bottom of an engine which then had rags attached. The engine was started then let go of; the engine would start to spin round but the drag of the rags would slow it up and the whole thing used to drift along quite stable until the fuel ran out and it dropped to the ground...!!! 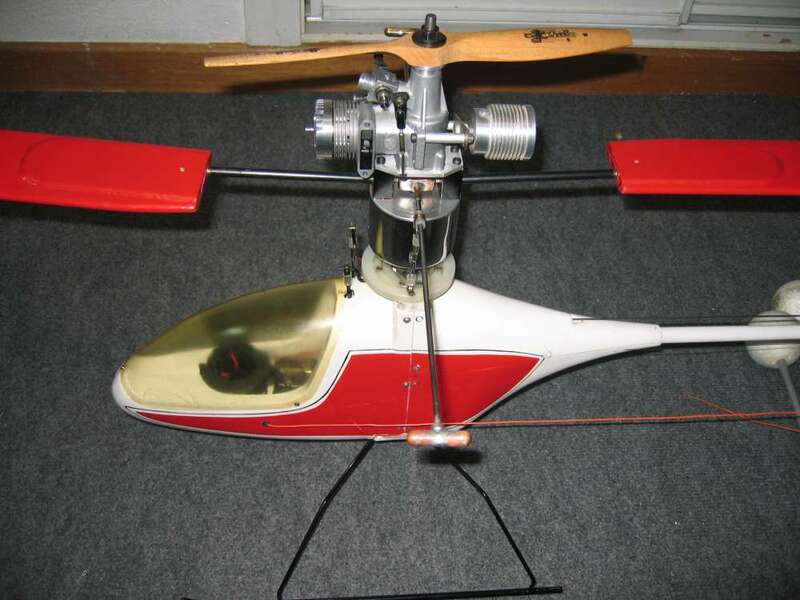 After development the helicopter was introduced in early 1972 and called the Whirlybird 505; the whirlybird name is quite obvious but the designation 505 not immediately apparent. 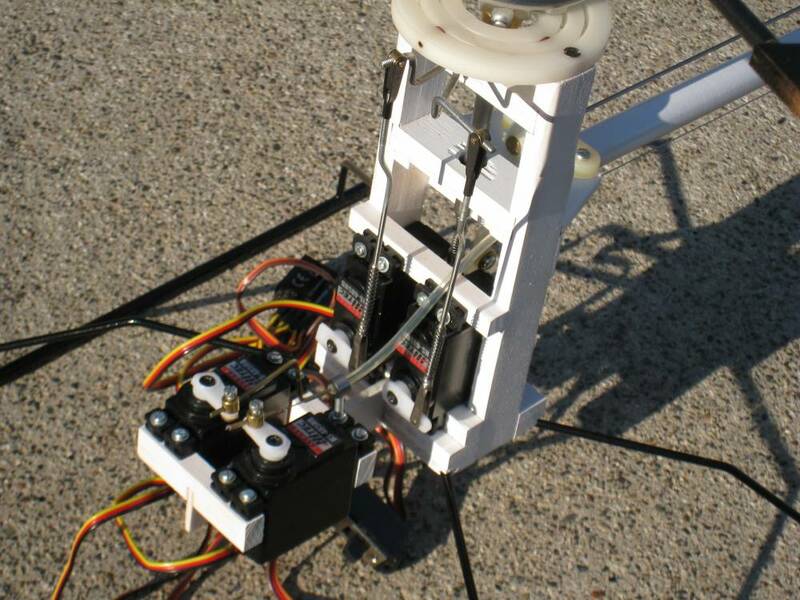 The machine utilised a K&B 40 engine for motive power and was based on the 'free flight' helicopter configuration; the complete head assembly was 'free' to rotate and so the engine turned a 10 x 6 prop with 'Torque reaction' driving the main rotors which were flat pieces of 1/4 inch thick balsa without airfoil section. Note that what appeared to be a second 'cylinder' was simply a turned piece of aluminium used as a counter weight to offset the weight of the K&B 40 with the fuel tank being the big round cup below the motor. 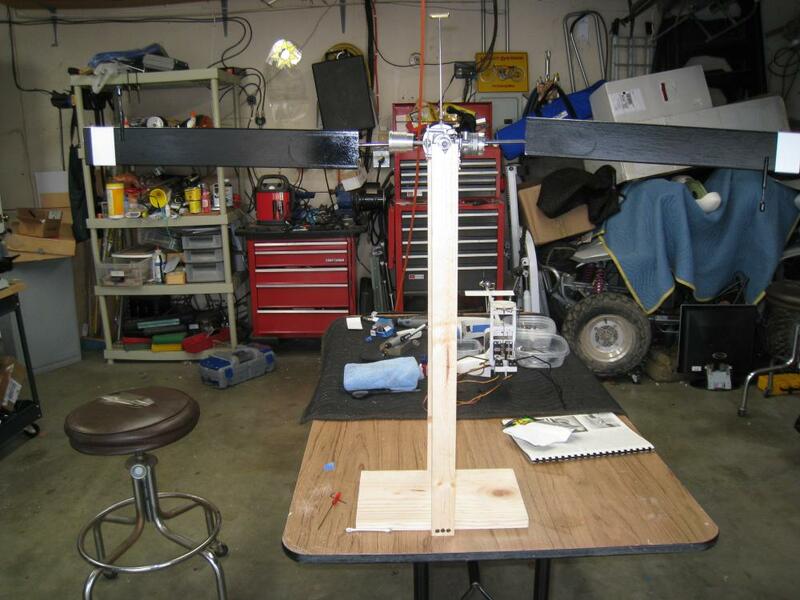 Tail rotor blades were flat pieces of 1/16th inch plywood, the main frame was spruce sticks with the swash being three concentric nylon rings. 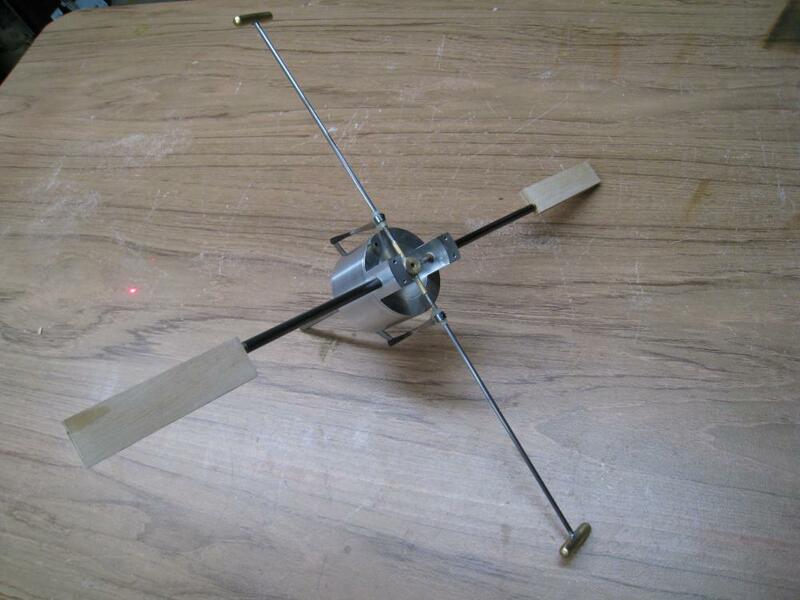 The tail boom was a fibreglass shaft and used a piece of piano wire for the tail rotor drive shaft with crown gears for the tail made of brass. 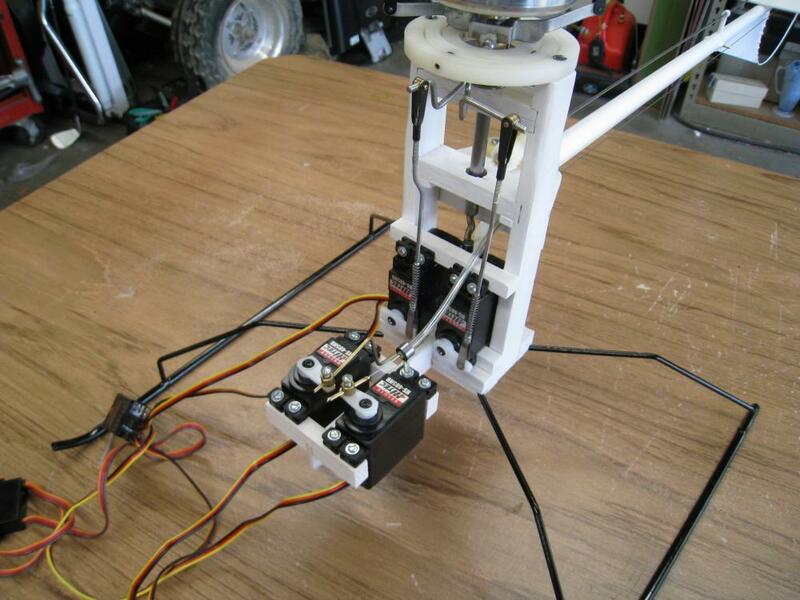 The rest was music wire with a few custom made pieces and the body was a shell of ABS plastic, very light, very thin. All in all, pretty basic but it worked which was all that mattered. The flight instructions by Dave Gray though were interesting, including phrases such as "Once it starts to go you might as well cut the throttle and watch it crash, because it is going to crash and you cannot stop it"; whilst perhaps true..... not exactly confidence inspiring to the budding tyro. 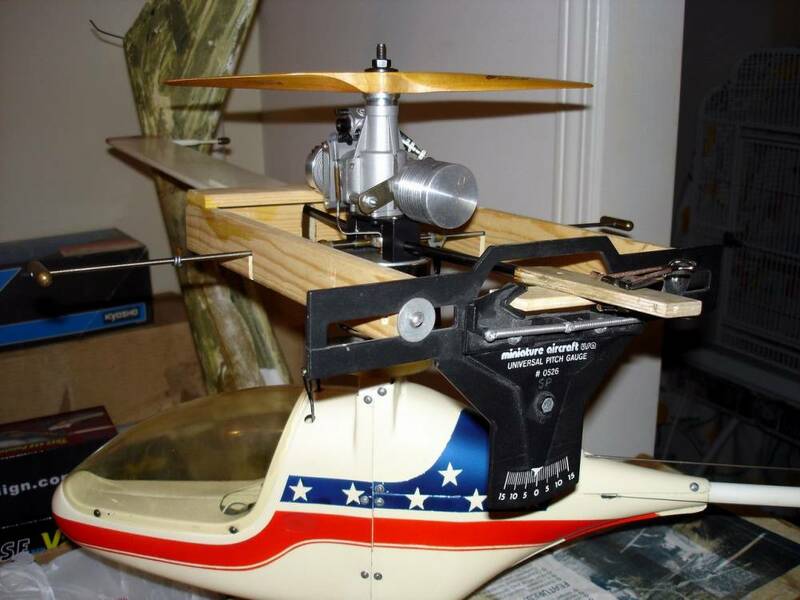 Du-Bro 505 whirlybird USA build review - Review of the Whirlybird in November 1972 AAM with OS Wankel engine by Bob Beckman and Ed Sweeney. Du-Bro 505 whirlybird UK build review - Summer 1973 from the UK magazine RCM&E by Stephen Winkworth. 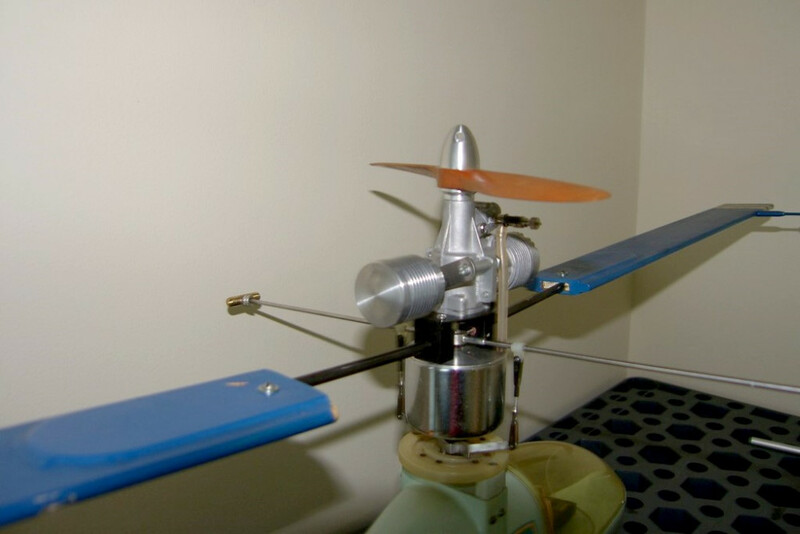 One thing that also tended to surprise pilots was that even though the thrust of the propeller and the rotor blades cancelled each other out, the fuselage did not rotate in the same direction as the main blades as friction would suggest, but in the opposite direction. However, it is actually obvious as the more powerful, concentrated, rotating airflow from the propeller directly effected the fuselage whilst the larger airflow from the blades did not. 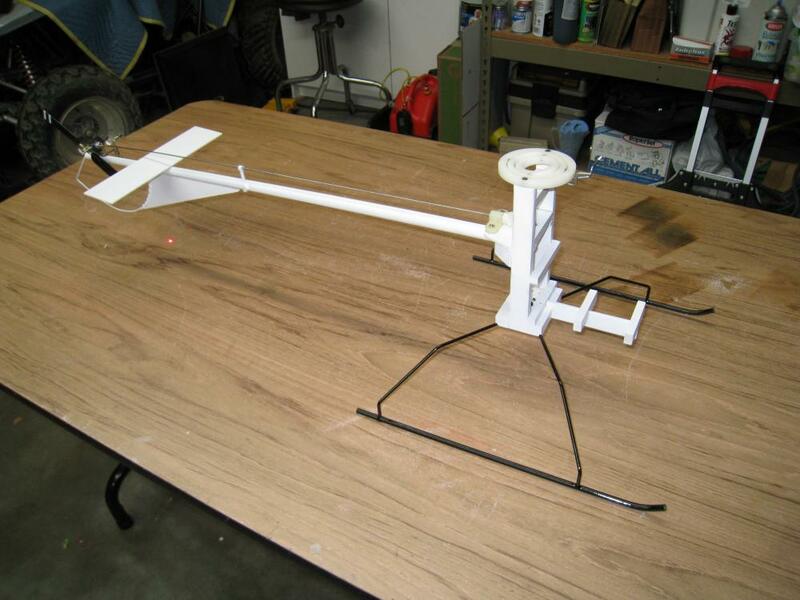 This concentrated force easily overcame bearing friction resulting in the fuselage rotating in the same direction as the propeller. 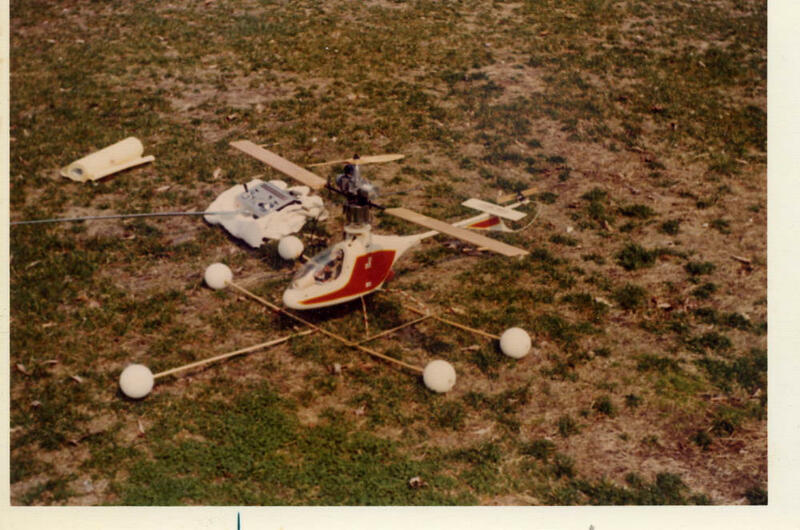 Whirlybird at the 1972 US nationals sporting the recommended training legs. 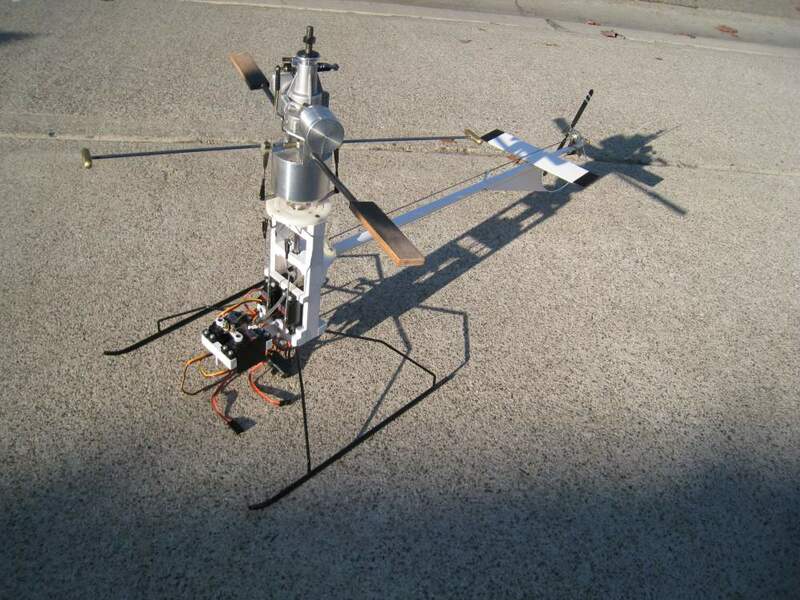 Whirlybird with training legs and construction details. 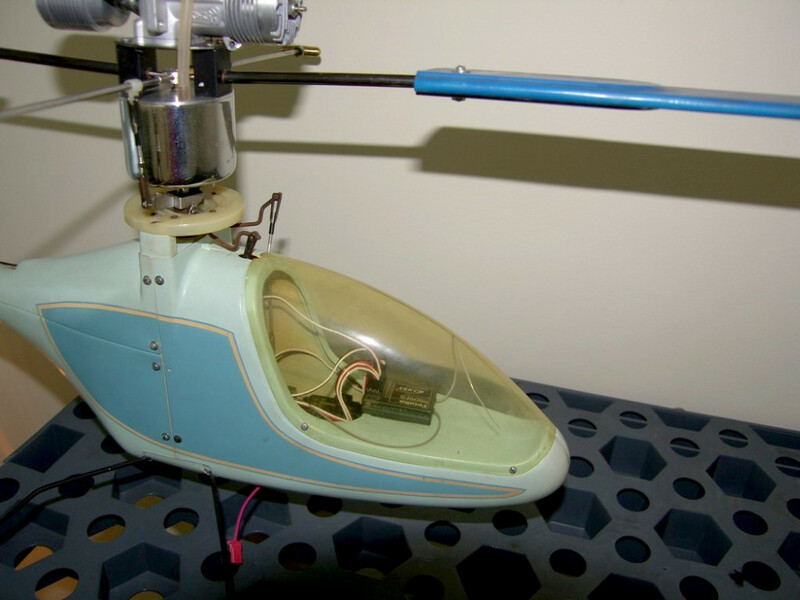 Though many pilots did learn to hover with the Whirlybird as they became proficient it was obvious that this model was not suited and so they had to move on and many were left kicking about, no longer any use. 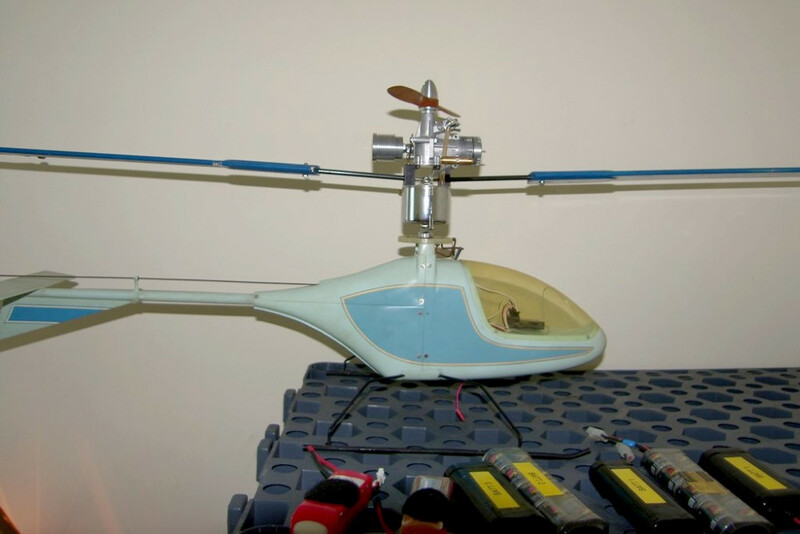 It was however used as the base model for a home build design (1973) by Ed Sweeny (Superbird) so that the Whirlybird could be rebuilt as a single rotor machine and thus a complete new helicopter was not required in order to progress further. 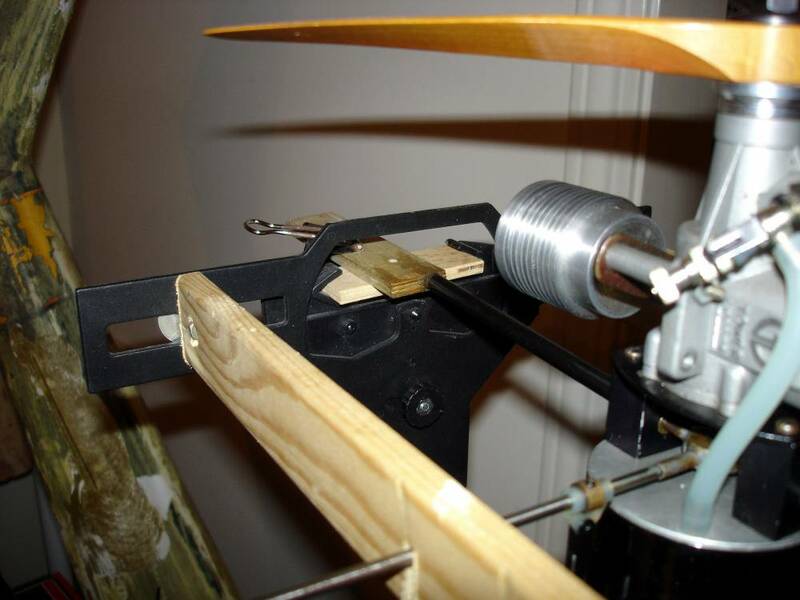 Later experience also pointed towards using a reduced pitch on the main blades of about 2 degrees; this had the effect of increasing the rotational speed of the main blades in order to counter the torque from the propeller. 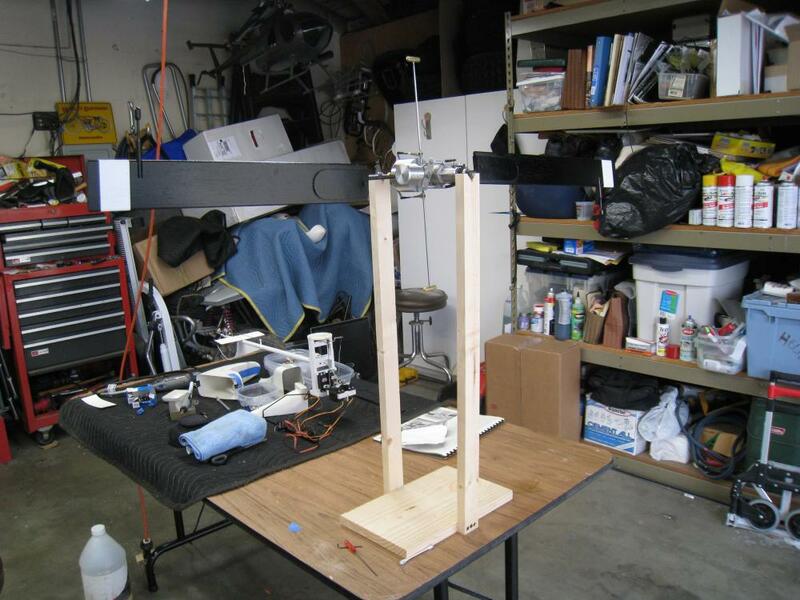 This increased 'head sped' provided extra stabilization of the system and increased response. 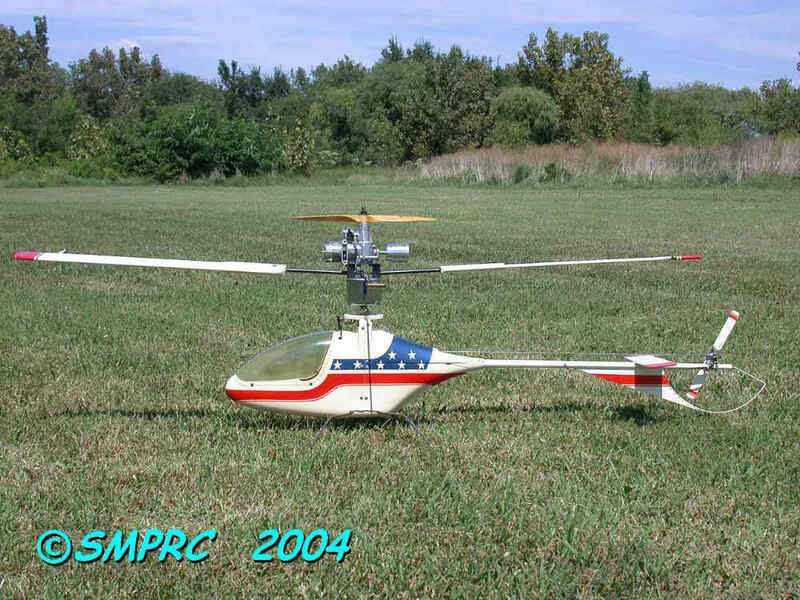 I've had an interest in R/C heli's since the late 1960's following their development and when models started to appear for sale in 1971 . 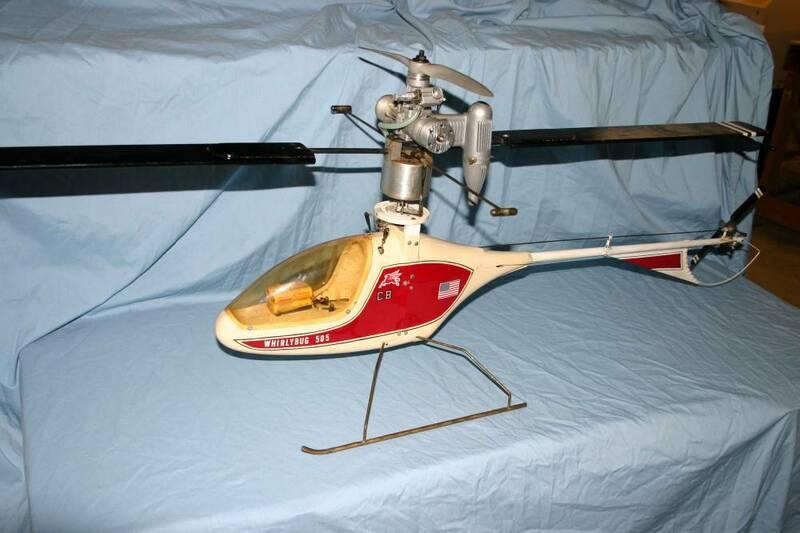 However, I purchased my first, a Du-Bro Hughes 300 in '74. It was a total pig so I still sat back watching and waiting for the technology to improve. 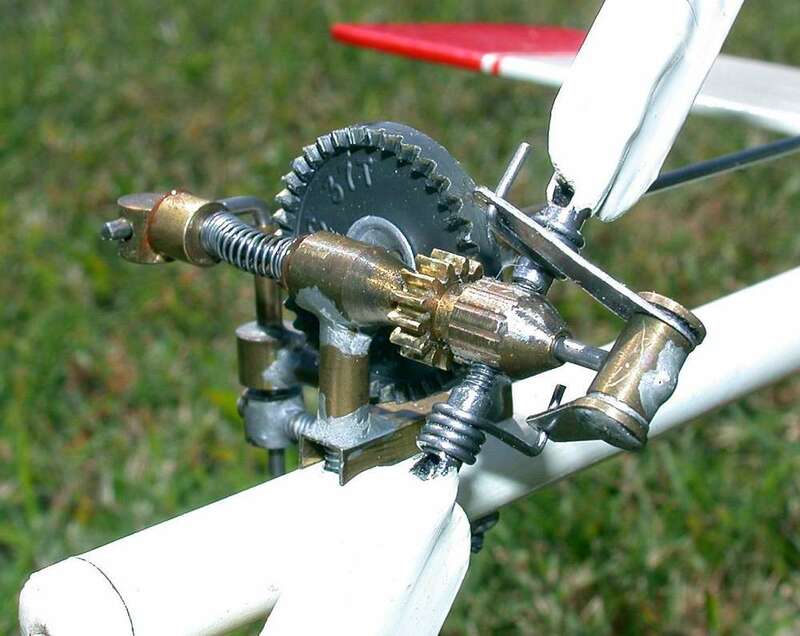 Well, improve it did and you couldn't ask for better flying machines. 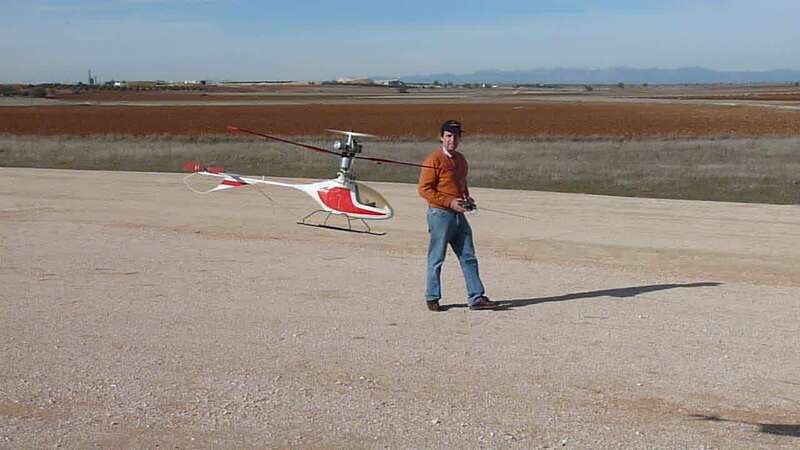 The beginning heli pilots of today probably still think this is a difficult hobby to learn but boy, you should have tried it when the machines could only just barely sustain themselves! 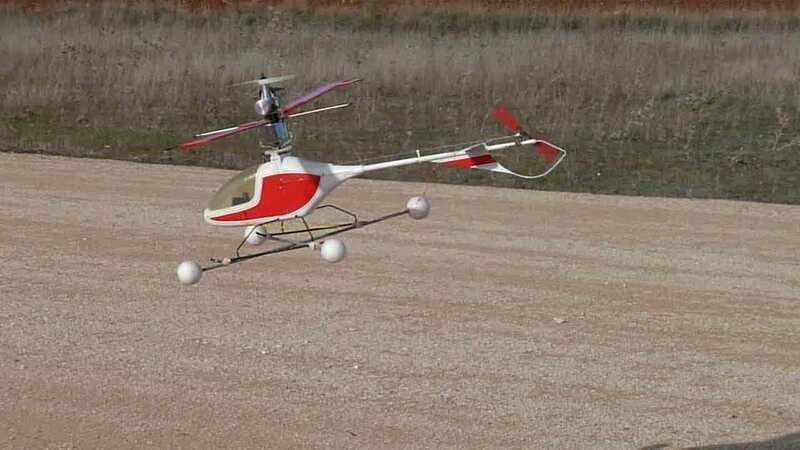 I've been getting my hands dirty with RC helicopters on and off and on since 1974 and decided to concentrate on showing folks what it was like to make the oldies fly instead of trying to compete and wow all bystanders with the latest 3D manoeuvres. I have a mental block to learning the stick positions for the wild stuff. Flying the vintage heli's has its own challenges and also rewards so that's the motivation to my direction. 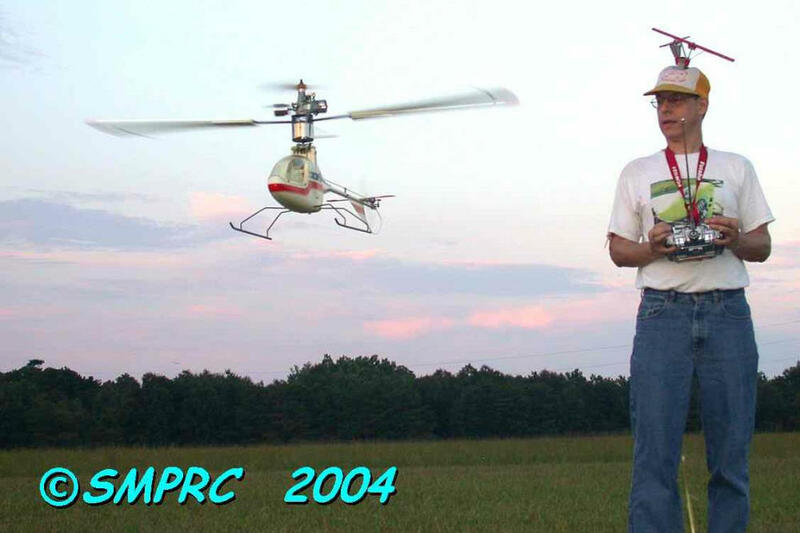 This video is the first of many (hopefully) of some old hardware brought back to life and into public view and was shot last September (2007) at the scale heli fun-fly in Dalton, GA. The heli is one I've partially restored and genuinely enjoy flying but only when there's no appreciable wind and while wearing hearing protection. 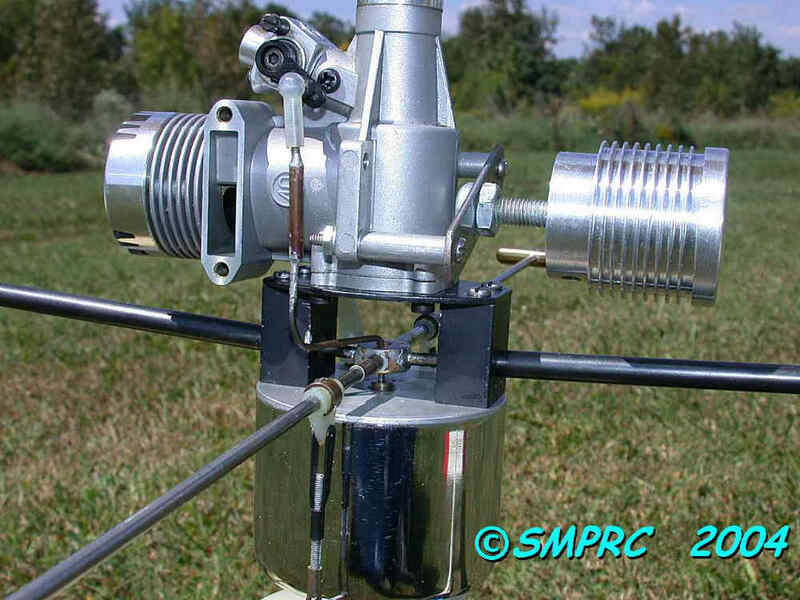 The noise emitted is very harsh as there's no silencing practical with this rotating engine design. The cyclic response is incredibly slow and weak, making any sort of air mass motion an instant problem. The fuel tank is spinning below the engine and is metal - there's no visual indication of fuel left. Time-to-empty is 6min 45sec and my TX timer is set for 6min 15sec. 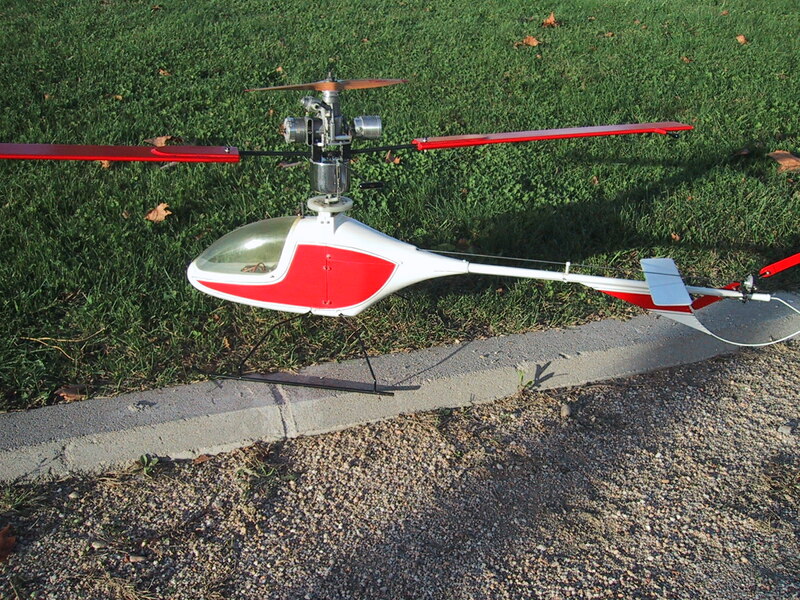 Lift is maybe 90% generated by the 10 inch propeller on the .40ci engine and the remaining 10% by those paddle-like things resembling rotor blades. 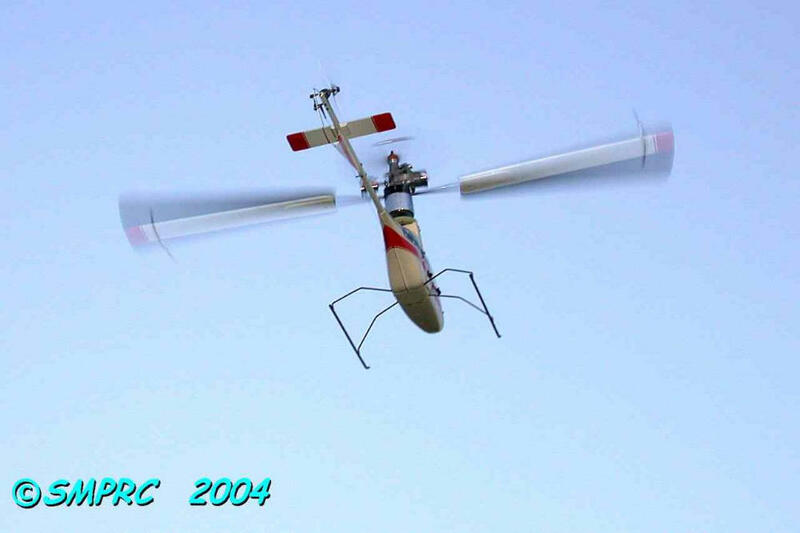 When the engine stops, the heli just falls and NOW! 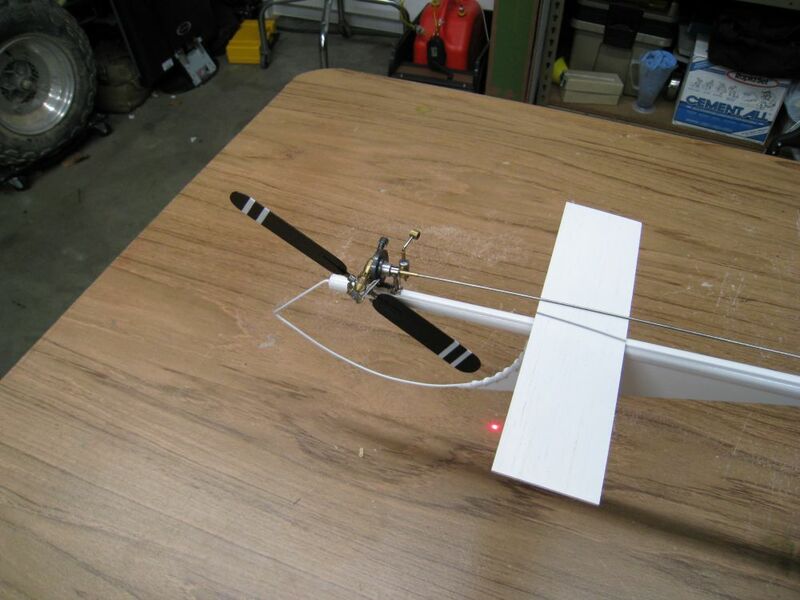 There's no gyro needed on the tail as there's no discernible torque imparted into the fuselage. Just concentrate on where you want the nose to point and it will go there. 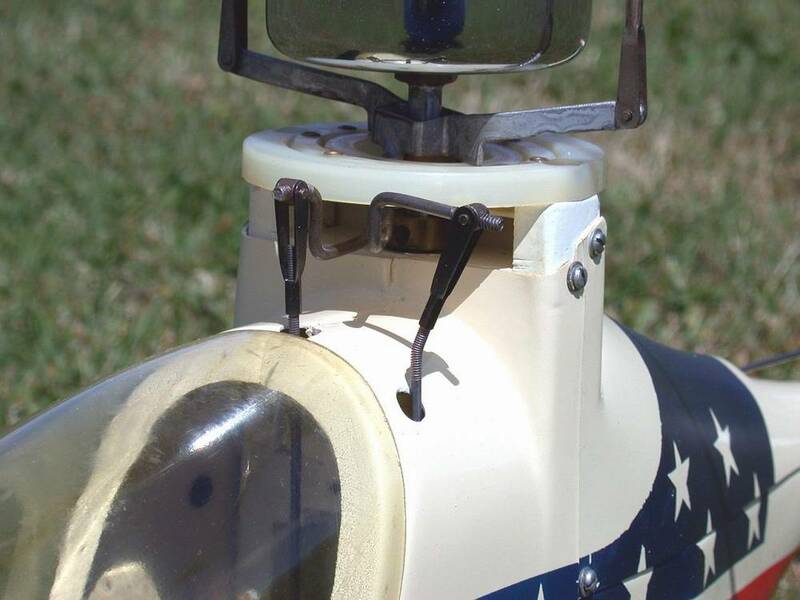 This heli is suffering from its 34 year age however and the teeth of the plastic crown gear back at the tail rotor are just jumping off. I can't believe it still flies but maybe it's time to retire this 505 and bring a rougher looking one into operational status. The rough one would receive a metal gear for better life expectancy since I plan on putting many hours on it, 6 minutes at a time. 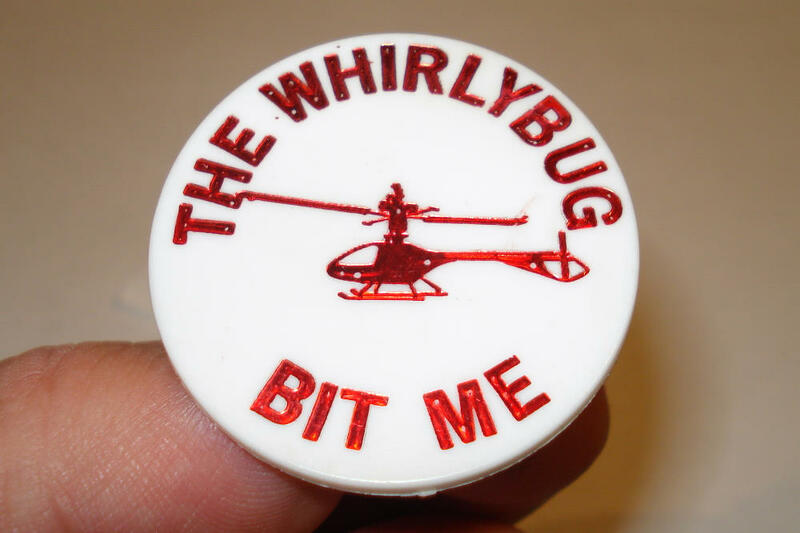 My reasoning is this: In the 1970's, when the Whirlybird was designed and sold, .40 c.i. (6.5cc) engines were not as powerful as the ones made in the last 20 years and I was going with an engine with more power. 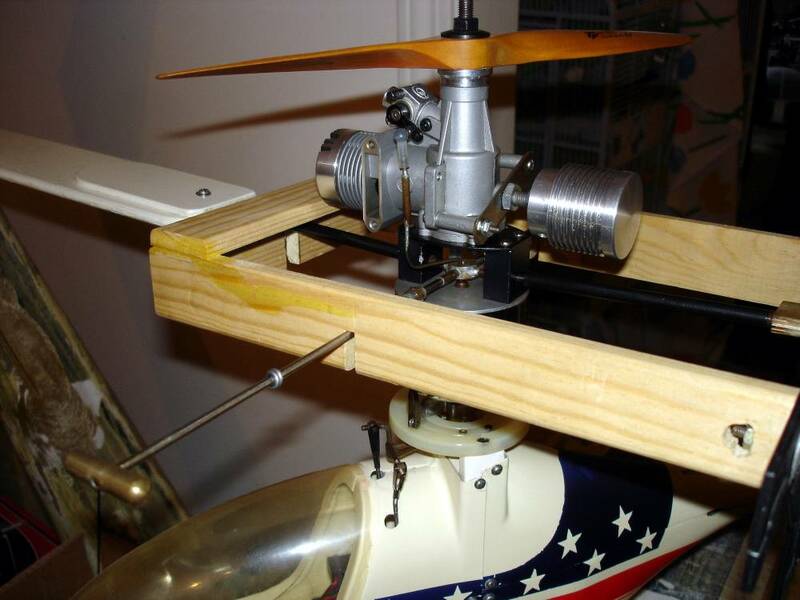 Since the newer engine will provide more lift from the prop, less lift would be needed from the main blades AND because a faster spinning rotor system should provide a better control feel, lowering the pitch from approximately 5 degrees to 2 degrees should do the trick. 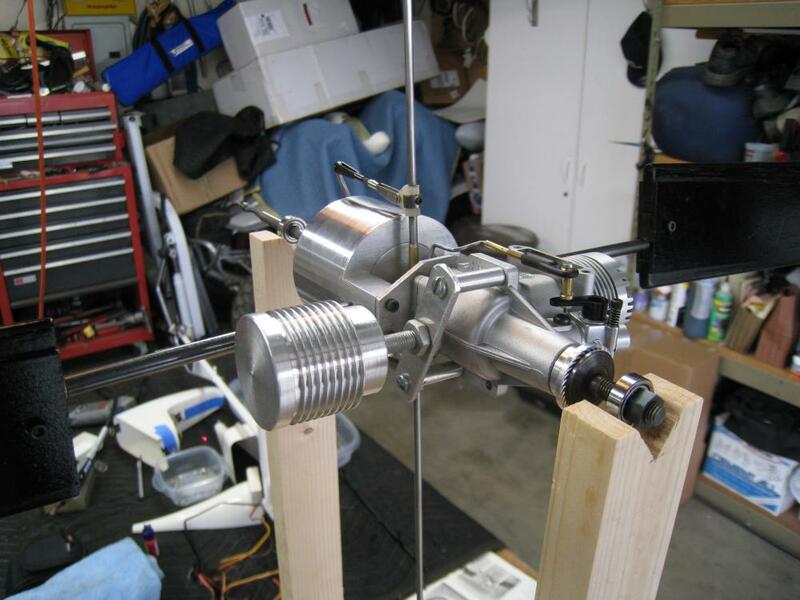 I installed a "Tower 40" engine, a sport model engine copied from the very popular OS 40FP, in place of the K&B 40 that I originally expected to use. 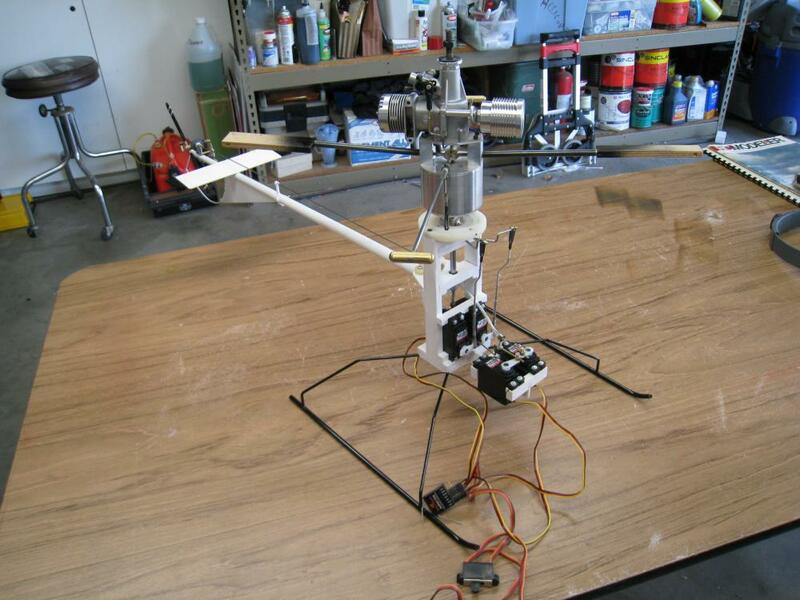 The Schnuerle ported Tower engine would produce plenty of reserve lift off the 10-6 propeller to allow for the drop in lift intended off the main rotor blades. Various photo montage courtesy of RunRyder members.